A screenshot of the payment from Google Adsense.. 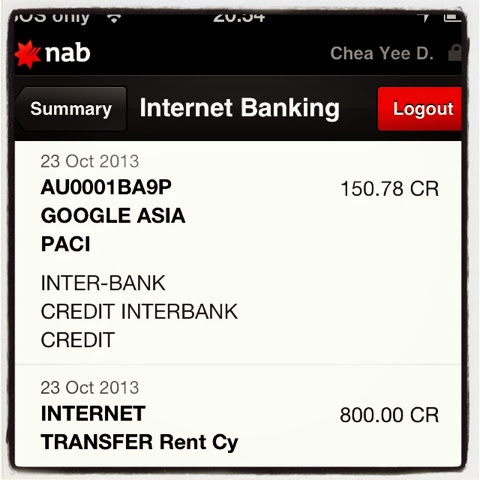 Finally received a cheque into my Australian NAB account. Better late than never!